We want to help make it easier for you to travel to Ottawa. Air Canada and Via Rail are the official transportation providers for TAT11. We are happy to connect you with discount codes listed below. Please see the directions on how to request the respective discount booking codes. Receive special discounted fares for TAT11 delegates. Mileage accumulation with Aeroplan, United Airlines' Mileage Plus, or any frequent flyer program of a Star Alliance™ member airline. TAT11 delegates and companions may be able to enjoy a discount on the best-available fare in all classes. Request a DISCOUNT CODE by emailing TAT11@cnl.ca. 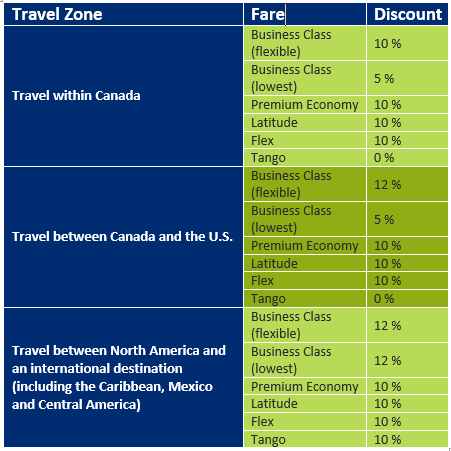 Also note that promotional codes apply to undiscounted published fares. Some of our previously discounted fares, while not eligible for the promotion, may be lower than the final price of the undiscounted fare to which the promotion applies. IDENTIFICATION: Participants must reference the TAT11’s VIA convention discount code. Request a discount code by emailing TAT11@cnl.ca. ONLINE BOOKING TIPS: You have to log in to your profile, or create one prior to booking. On the Passenger information screen, select "Convention fare" from the “Discount Type” drop-down menu, and enter the discount code for your TAT11 in the “Discount code” field. The conference fare will be shown on the next page.